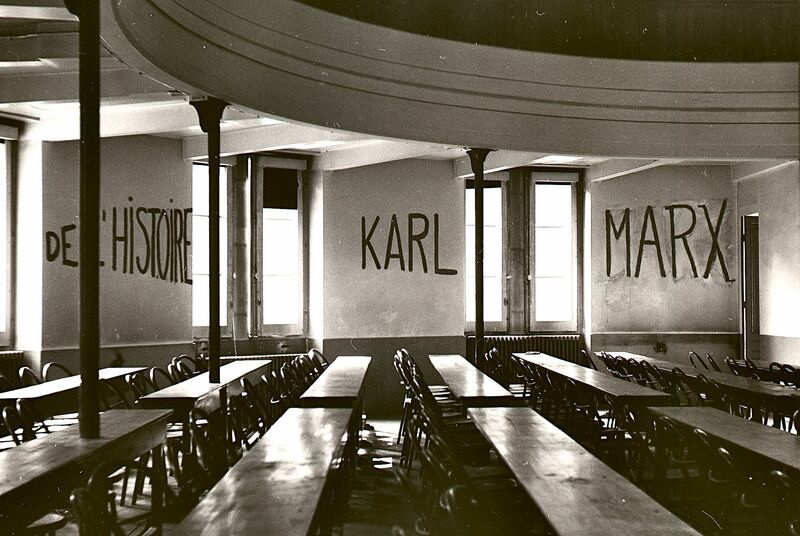 Classroom at the University of Lyon with markings on wall reading "DE L'HISTOIRE KARL MARX," made during student occupation of parts of the campus as part of the May 1968 events in France. While the separation of revolutionary thinking and politics might seem more distinct in the present, with "theory" being relegated to universities, and "practice" to social movements, it seems increasingly common for academic work motivated from the Left to blur the boundary between theory and social movements. While this state of affairs may seem to approach the sentiment articulated by Luxemburg, that there be nothing separating theoretical issues from the people struggling to overcome their condition, it does so without the emergence of corresponding political practices that would transcend the present. Alternatively, other currents of theory, among both independent intellectuals and organized political tendencies, seem completely severed from everyday social practice and so harmless as subcultural activities. Theory today seems to either assert the primacy of practice, leaving no recourse but to take up practical discontents as inalienable in thinking, or is so entirely cut off from practical concerns that it seems sustainable only in the academy. Revolutionary thinking, no less than revolutionary practice, seems hard to locate in the present. 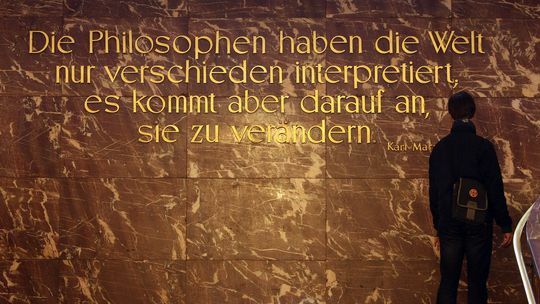 Marx's famous statement concluding his 1845 Theses on Feuerbach is engraved in the entryway of Humboldt University, Berlin. 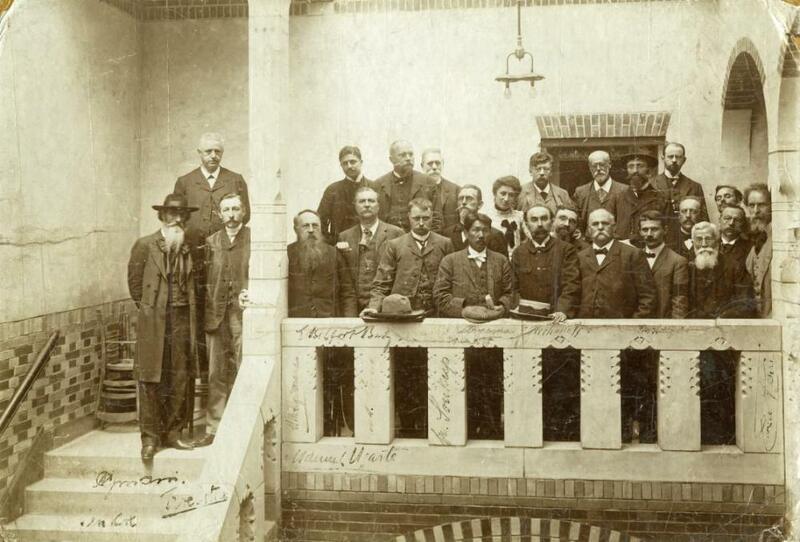 Rosa Luxemburg and other international socialist leaders, including Karl Kautsky (Germany), Victor Adler (Austria), Georgii Plekhanov (Russia), Edouard Vaillant (France) and Sen Katayama (Japan). 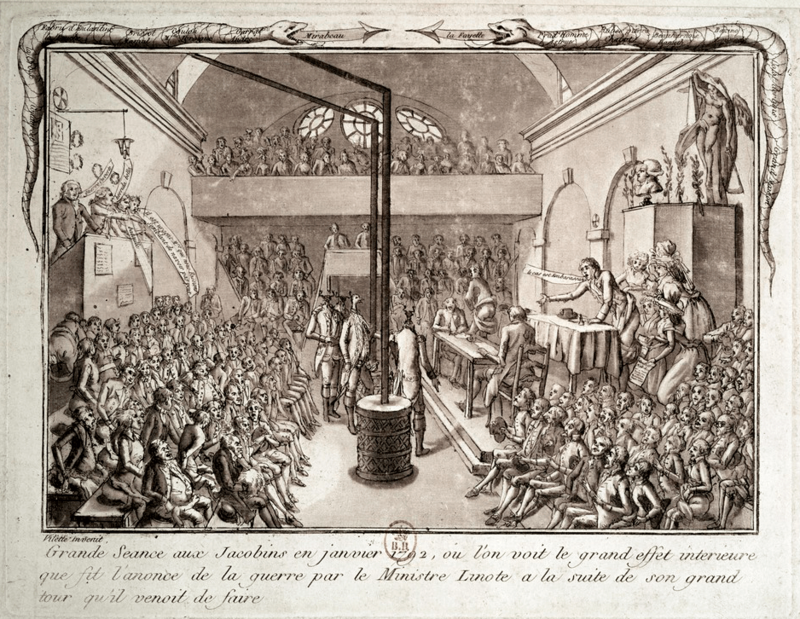 Meeting of the Jacobin club in January 1792. 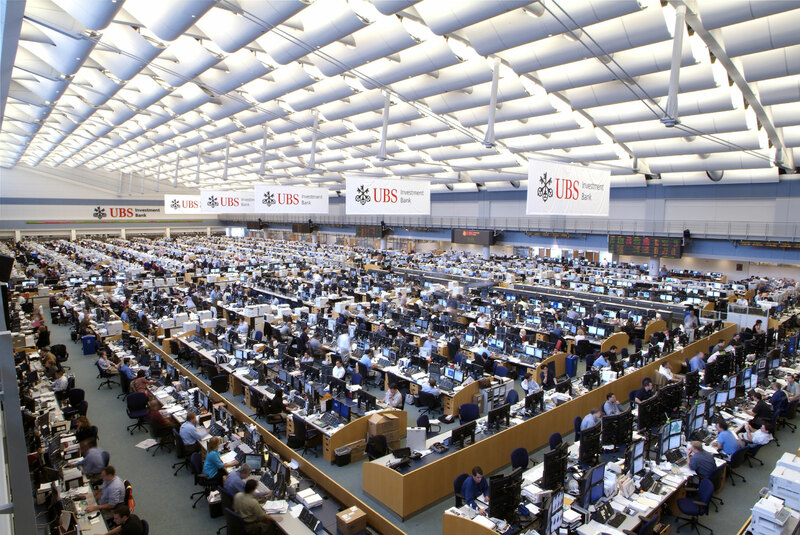 UBS trading floor, Stamford, CT, USA. CC: I want to make a closing plea for the plausibility, even if somewhat politically distant, of Marxism as still in the present. It is present to the degree to which we can call the contradiction of society at a global scale as being that between wage labor and capital. Do we still live in a society that reproduces the conditions for wage labor? Do we still live in a society that is dominated by the need to valorize capital? I think both of these are still in effect. This is not just a description of an objective state of the economy, but is also a description of a circumstance for potential politics. Marx was not only a philosopher of modern history, or an analyst of the capitalist economy, but also a political strategist. His orientation to the wage-laboring class was a strategic estimation of politics. In that respect, what we lack, unlike previous historical phases of capitalism, is an adequate political mediation of the problem of capitalism. In other words, capitalism doesn’t manifest at the level of politics, where the contradiction between capital and wage labor is fought out. Perhaps it won’t manifest in the future in the way it did in the past, but it seems to me that the alternative to that attempt to politicize the capital and wage-labor relationship will be further barbarism: The decline of potential political responsibility, and the locking-up of politics among a small group of ideologues and technocrats.